A field of 64 players, down by 17 on previous years, got underway at 0720 on a very nice morning. 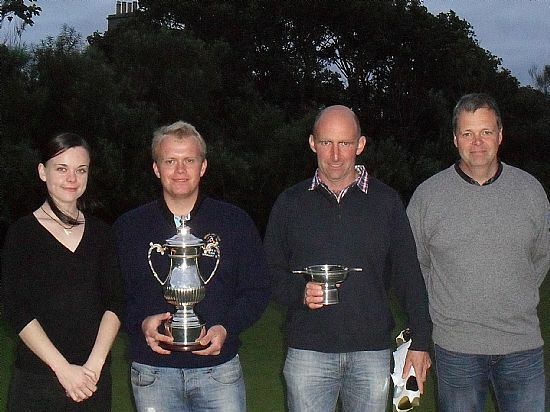 The early starters had the best of the days conditions and some scores reflected this with the overall Nett winner Willie McDonald being one of those. 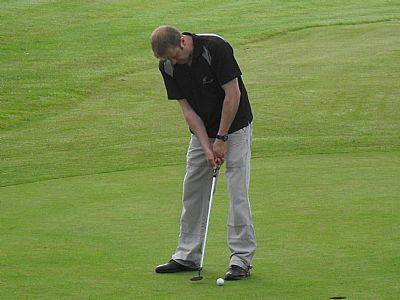 He was out in the second group at 0730 and his Nett score of 61, posted by 1130, was never to be challenged. 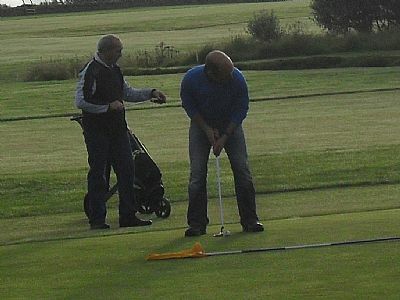 This is one of the lowest Nett scores recorded during a competition at the club. The midfield group had the biggest challenge as the conditions deteriorated just as they began play.The wind was from swinging from N to NE and was very strong at times with the threat of rain, which thankfully stayed away, and this was reflected in the scoring again with only 4 breaking the Nett 70 barrier one of those being Graham Flett who returned a Gross 74 and this held the best Gross spot till the final group came home. Conditions improved slightly as the final groups got underway and had improved a great deal by the end of most of their rounds. As expected the Gross winner came from this group and was once again Steven Rendall who had an excellent 71 dispite the conditions. I think it's safe to say that once more our small 9 hole course, which once again was in excellent condition having been lovingly nurtured by the greens staff in preperation for this day, proved a challenge to both home and visiting players with quite a few comments about the financial loss caused by the flight of their golf balls being draw toward and over the boundaries and also into the ditches with one person even suggesting they may fund the filling in of said ditches!. 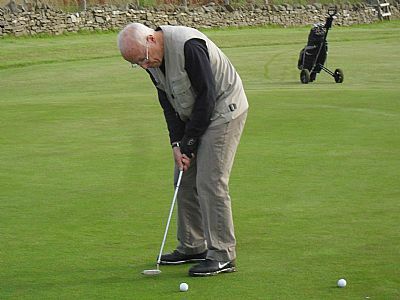 As the day drew to a close the putting competition, as is usual, began to heat up with a play putt off between Erik Donaldson and John Thomson to decide the winner. After the players had finished their rounds it was off to the Murray Arms where once again the food didn't disappoint. So thank you to Graham and his staff for the excellent service. Thanks also to Alec Rosie our starter who was in attendance from before 7am right through till the presentation at night. Also a thank you to all the ladies who helped with the tea's, raffle and bar throughout the day and to all others who devoted their time. Thank you to Christina Cromarty who presented the prizes on behalf of Graham Brown and the Murray Arms. And lastly to Johnny, Davie and Ian for the work they have done on the course throughout the year to have it ready for this day.